The 16-bit console versions of John Madden Football are where Electronic Arts' football series took off but the series got its start on home computers. Released first in 1988 for Apple II computers and in 1989 for the Commodore 64 and MS-DOS, John Madden Football bares little resemblance to the first Sega Genesis game. John Madden worked with the game's lead designer and programmer Robin Antonick with the goal of creating a realistic football simulation. 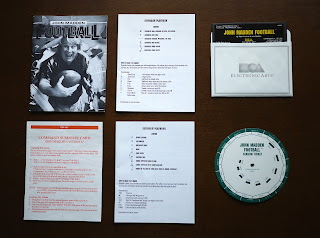 It's packaged with offense and defense playbooks that are 20 pages each and provide the basics of the variety of football formations. 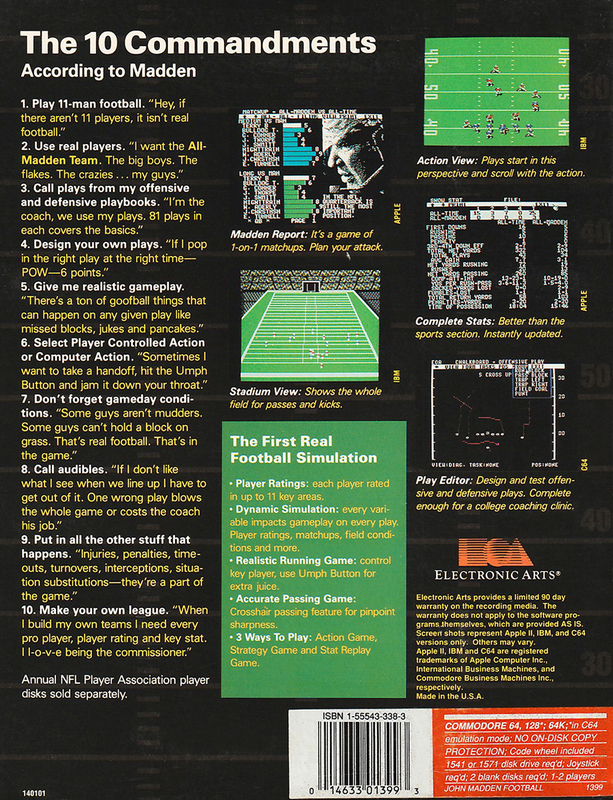 While there is a Quick Game mode, the 60+ page manual explains quite a bit more for setting up the Standard Game mode. 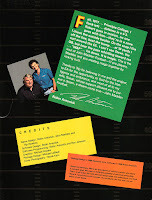 Players have quite a few options when it comes to customizing their game as they can edit playbooks, create plays, and edit team rosters. 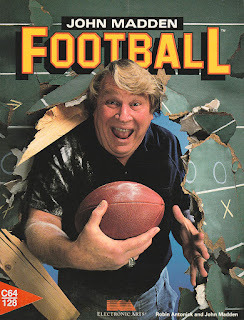 One thing the game is missing is the NFL license so there are no official team or player names. 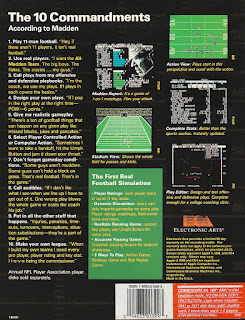 There are teams based on great Steelers, Raiders, 49ers, and Bears squads, plus there are All-Madden and All-Timer teams, as well as some other random teams. 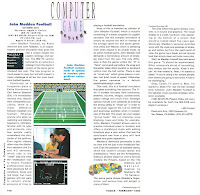 Virtual athletes are also based on real-life counterparts, and some are easily recognizable by nicknames, such as Sweetness (Walter Payton) and White Shoes (Billy Johnson). 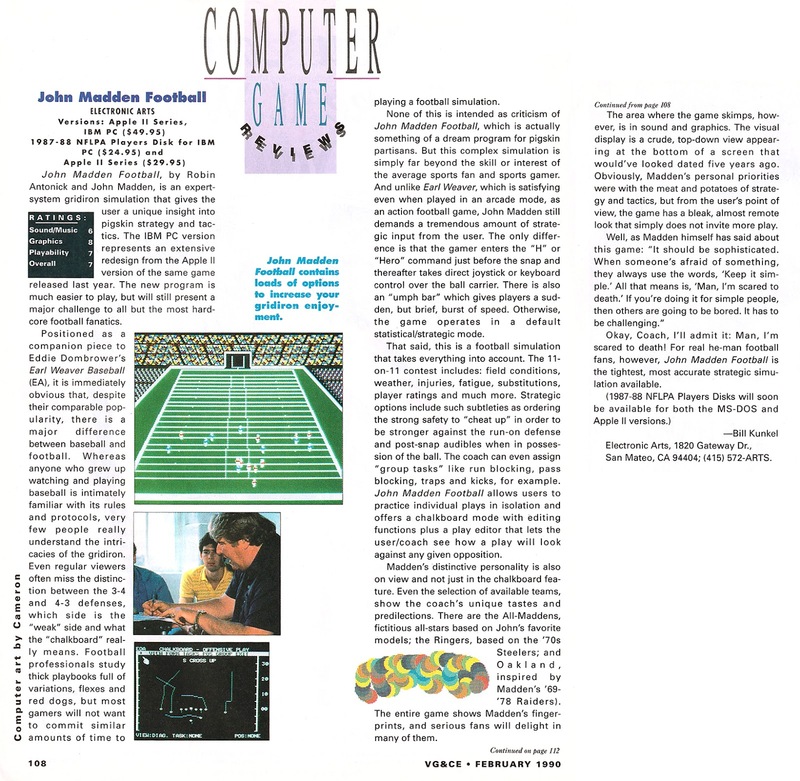 Aside from the aforementioned console games that began in 1990, a direct sequel to the computer game was released for MS-DOS in 1991 but that does not contain NFL licensing either. 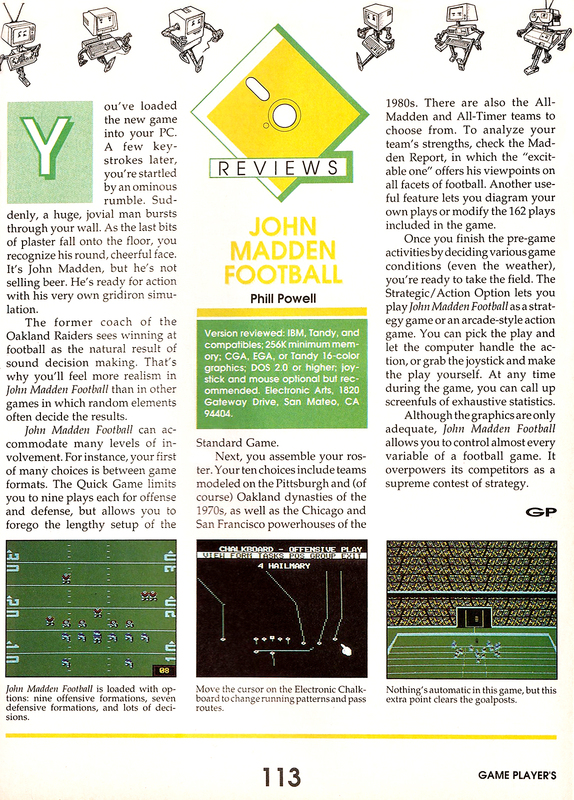 I've got two magazine reviews of the MS-DOS version, one from Game Player's (GP) and the other from Video Games & Computer Entertainment (VG&CE). 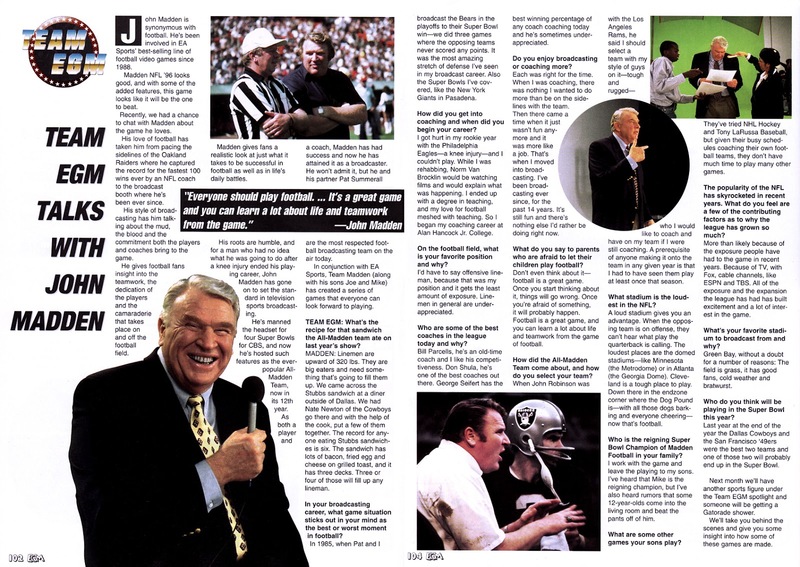 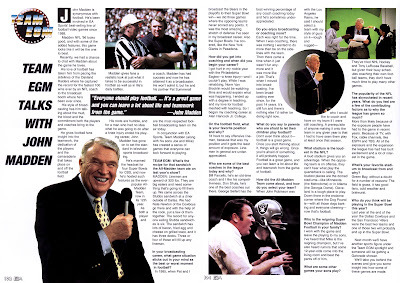 I'm also including a 1995 John Madden interview from Electronic Gaming Monthly (EGM) that is primarily about Madden himself and football rather than video games.